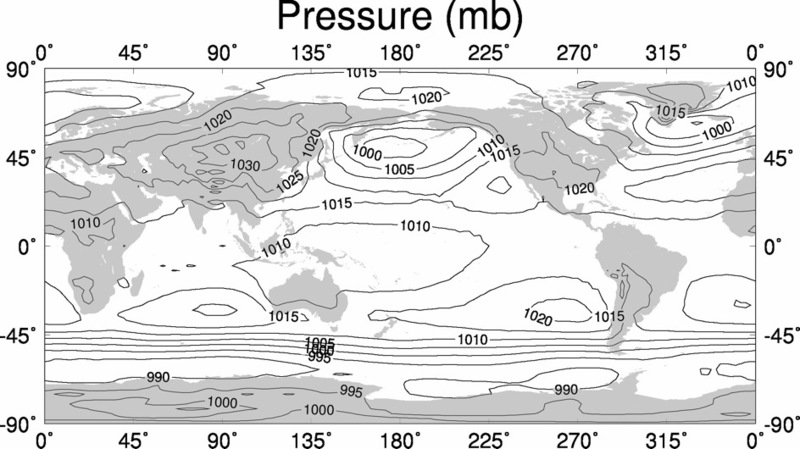 Atmospheric pressure measures the weight of the atmospheric column above a sample and indicates the extent to which the atmosphere has shielded sample sites. It is therefore widely used in scaling formulations of neutron attenuation. However, often atmospheric factors are not obtained when a sample is collected. 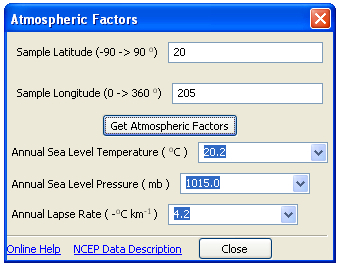 This utility allows for an estimate of mean annual sea level temperature, pressure and lapse rate at any location using NCEP reanalysis data. Where p is the atmospheric pressure at the sample site, p0 the sea level pressure, β0 the lapse rate, z the sample elevation, T0 the sea level temperature, g is the acceleration due to gravity, and Rd is the specific gas constant (287.05 J / kg / K). If a sample is imported into ACE without specifying temperature, pressure and lapse rate values values are automatically based on the algorithm presented here. 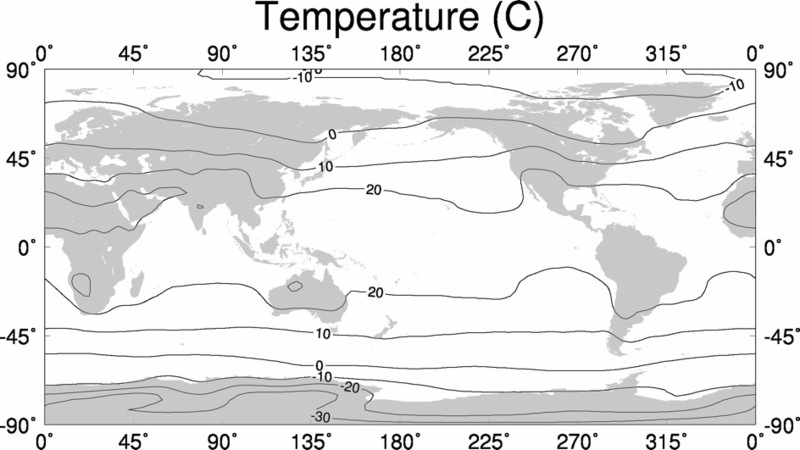 Alternately if local climate data exist, these can be used instead by specifying ‘default sea level temperature’, ‘default sea level pressure’ and ‘default lapse rate’ for each sample using units defined here. 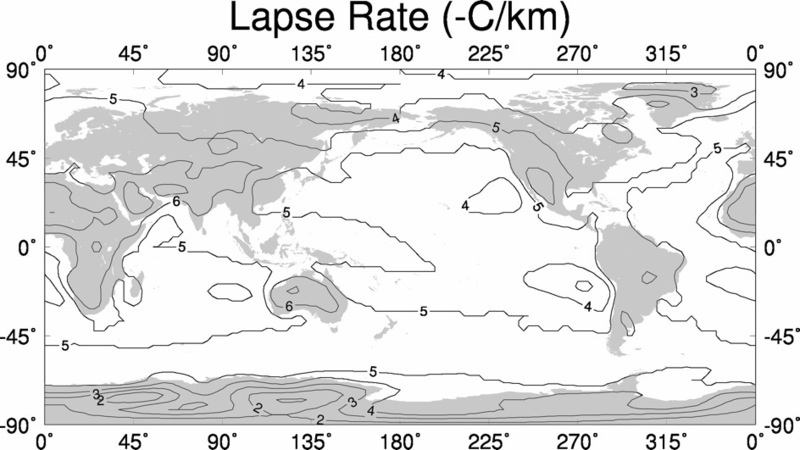 Maps of NCEP assimilated values of mean annual sea level temperature, pressure and lapse rate from which the results of this algorithm come from are shown below (click to expand).